Dave, Chase and the whole crew is knowledgeable, courteous, and honest. Excellent pricing, work done quick, and efficient. 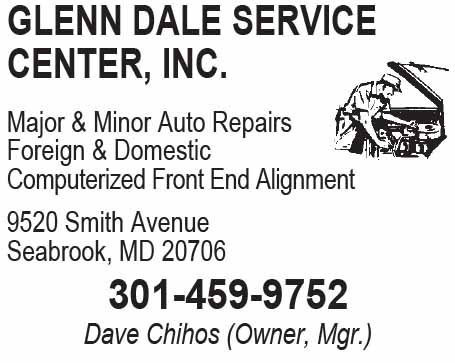 I highly recommend Glenn Dale Service Center, Inc. The owner is very honest and runs an honest and reasonably priced business. I've been taking my car here since 2003. First time using this shop, very pleased. Flexible on scheduling the work, work took under an hour, reasonable pricing. I dealt with Chase and highly recommend him.